Have you seen Carey speak? Leave a review. The first ever female F-14 Tomcat Fighter Pilot in the U.S. Navy, Carey Lohrenz brings her experience of fast-moving, dynamic environments, where poor decision-making can lead to catastrophe, to the world of business strategy. 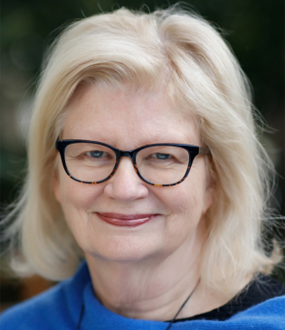 Carey combines fascinating stories of her time in service with messages about high-performing teams and a culture of learning that is based on the very best industry practices. Audiences from Fortune 100 businesses have reveled in her combination of dynamism, audience connection and experience of leading diverse teams in the most demanding environments. 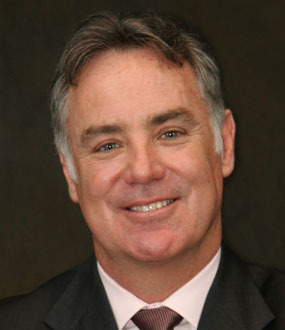 Companies who have asked Carey to bring her high-energy motivational speeches to their employees have included, among many others, AT&T, Bayer Crop Science, McDonalds, Cisco, Comcast, Executive Women’s International, Health Alliance, Kentucky Bankers Association, Kimberly Clark, New York Life, Prudential, Safeway, TripAdvisor, Walmart and Wells Fargo Advisors. A graduate of the University of Wisconsin, where she was a varsity rower training at pre-Olympic level, Carey attended the Navy Aviation Officer Candidate School, going on to fly missions worldwide as a combat mission ready Navy pilot. She is currently working on her MBA in Strategic Leadership. The same challenges are found in business: markets change, customer needs evolve and if you do not adapt quickly your company is at risk. In her motivating and engaging keynote presentations, Carey shares her fascinating experiences operating in one of the world’s most challenging environments — an aircraft carrier. She is uniquely qualified in the fundamentals of winning under pressure, reducing errors and overcoming obstacles. Her mastery of these fundamentals can help your team triumph in this high-risk, time crunched world. Carey has delivered her leadership training, leadership keynotes, corporate teambuilding and strategy experience to such companies as American Society of Health System Pharmacists, AT&T, AMDOCS, Bayer CropScience, Black &p; McDonald, Cisco, Comcast, Covidien, Direct Employers Association, Executive Women’s International, Health Alliance, Kentucky Bankers Association, Kiewit Offshore Services,Kimberly Clark, New York Life, Lincoln Financial, New England Women in Banking, PMI Chapters, Prudential, Restaurant Facility Management Association, Safeway, Sanofi, Sourcing Interests Group, Southern California Edison, State Farm Insurance, Sea Ray Boats, Sprint, Texas Workforce Commission, TripAdvisor, Underwriters Laboratories, Walmart, Wells Fargo Advisors, and WICT to name a few. A High Content Keynote Speaker who is both Motivational and Inspirational, Carey Lohrenz inspires Fearless Leadership and increased team performance. “Adversity introduces you to yourself," says Carey Lohrenz, as she tells of a time when she had to spend eighteen months proving her competence to be allowed to get back into the cockpit. Speaking from personal experience she tells her audience, “If we as leaders allow our judgments to be made on perceptions then our organizations will become schizophrenic." Having succeeded in one of the most demanding environments imaginable as one of five female aviators on a 5000 crew aircraft carrier, Carey Lohrenz knows what it takes to be a leader. She shares with her audience the lessons she has learned and explains how they can be used to lead your team to success. 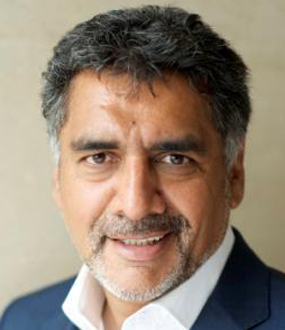 Carey’s highly entertaining and inspirational talks take metaphors from aviation and apply them to workplace environments; have you completed your checklist, do you have a flight plan, do you know what other members of your team are going to do? You will leave her talks inspired and determined that you can fly every bit as high as she has. As the first female F-14 Fighter Pilot in the U.S.Navy, Carey Lohrenz knows what it takes to win in one of the highest pressure, extreme environments imaginable. In 1994, when Carey "Vixen" Lohrenz was deployed to the USS Abraham Lincoln, there were fewer than 5 female aviators on a ship of 5000 male crew members. Facing uncharted waters in an intensely male-dominated environment, Lohrenz learned vital lessons in leadership that followed her into the corporate world. The most successful leaders share a common foundation of principles used from the flight deck to the front office. The greatest leaders from all corners of the world know how to inspire, use good judgment, take initiative and make powerful decisions — with integrity. 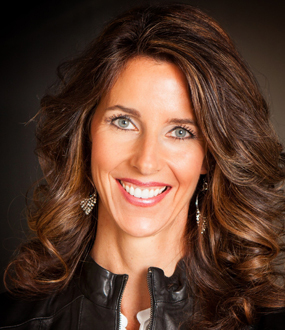 Lohrenz is a sought after motivational speaker and international speaker whose leadership messages resonate with a wide variety of public and private organizations — from healthcare and financial institutions to women’s groups and Fortune 500 companies. In this inspiring and engaging keynote, Carey shares what it takes to be on the "Leading Edge". Those things that helped her succeed in one of the most extreme environments on earth can help elevate your team, gain advantage and uncover opportunities. 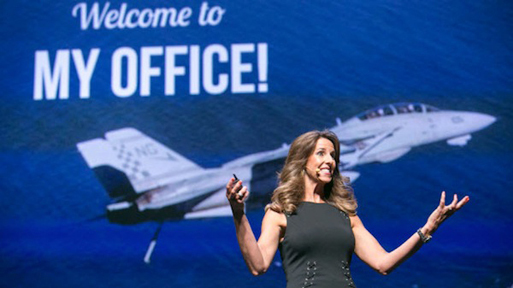 As a former Naval Aviator, a corporate executive, and as a busy mother of four, Carey "Vixen" Lohrenz knows first-hand the challenges of navigating the many demands of daily work-life balance. In this riveting inspirational keynote speech, Carey will inspire you to "Be the Catalyst" and look beyond your circumstances. Just as pilots do a "systems check" before takeoff, Carey’s motivational speech will walk you through a Pre-Flight Check on your journey towards success. Belief in Yourself and Your Abilities: To be successful and ultimately take charge of your life, overcoming lack of self-belief is one of the biggest hurdles you need to overcome. A Firm Commitment: Be unwavering and purposeful in your actions. Clarity of Purpose: Clarity of purpose and a clear picture of precisely what you want to achieve are key factors in achieving success. Make a Plan — Stay Focused: Keep life’s distractions and interruptions at bay by creating your plan — and sticking to it. 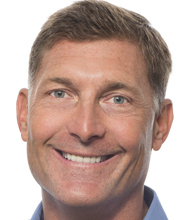 Carey’s highly popular keynote will inspire and energize while providing work-life balance tools to help you regain control of your personal and professional life. If you only had one opportunity to decide, one chance — would you have the right information and tools available to make the BEST decision possible? Carey Lohrenz knows what it takes to win in one of the highest pressure environments imaginable, where inconsistent execution can generate catastrophic results. When it comes to risk management and safety, carrier aviators have it down to a science. With zero tolerance for error, they rely on every crewmember, regardless of rank, to work as a team and maintain safety awareness at all times. Carey’s "Patient Safety" keynotes and workshops challenge, inform and inspire your employees to move to higher levels of performance and operational excellence in high-risk and sometimes dangerous environments. Managing risk is like walking a tightrope. It is a constant balancing act, identifying and mitigating safety, operational and reputational risks. These tools will allow you to survive and succeed, with superior results consistently, just as Carey Lohrenz did in the demanding world of fighter aviation. Carey Lohrenz is a dynamic healthcare speaker whose passion for improving patient and staff satisfaction in the fast-paced field of healthcare brings results. With her authentic, highly motivational personality, she is in demand as a patient safety keynote speaker nationwide. Not only is she sought after by medical and pharmaceutical professionals for her risk management solutions, but small businesses and large corporations appreciate her "flight plan" for success. Most people give up too soon when pursuing their goals, growing their teams, or chasing their dreams. Fearless leadership doesn’t develop in an instant; it develops over the course of time. LOHRENZ: Fearless Leadership is possible, no matter who you are, provided you have the courage to step up and go for it! Just like flying an F-14, leading fearlessly never gets easy, and it requires nerves of steel. But I firmly believe that absolutely anyone can build his or her leadership skills and reap the rewards of doing so. That’s why I wrote Fearless Leadership: High Performance Lessons From The Flight Deck. The cockpit of an F-14 is one of the most demanding environments on Earth, and it’s where I learned some of my most unforgettable lessons — not just in flying, but also in life and in leadership. My journey to that cockpit — which began when I decided to pursue a seemingly impossible dream, involving many challenges and trials — gave me indispensable insights, as well. And my path after leaving the military — paved largely with my work among business leaders, from Fortune 500 executives to middle managers — has helped me further distill those lessons, share them with others, and then watch as leaders and their teams flourish. LOHRENZ: I like to say to every client on our pre-event conference call, “I will not know as much about your company as you do; that’s impossible. However, I will know enough to be dangerous!” Then I ask questions, study their history, research past and current trends in their marketplace, and craft the messaging to make it the most useful to them. I think, in order to really serve the clients’ best interests, you must be willing to do the work, to understand who they are, and what makes them tick. My goal is not only to be able to share a memorable event with them, but to provide insights and tools to reach peak performance. I want to encourage people to stand up and excel in the situations that would provoke fear in anyone, whether you’re a newbie or a pro. LOHRENZ: Every audience is so different, and brings unique perspectives to an event. Whether I’m speaking to 2,500 agricultural specialists, 1,000 financial planners, or a hall filled with IT specialists, there is always an energy present if you are mindful of it. Every one of us wants to do work that matters, work with a purpose. When I’m able to understand what drives and motivates people, that’s what inspires me. I want to encourage people to stand up and excel in the situations that would provoke fear in anyone, whether you’re a newbie or a pro. I love working with people who are willing to peek around the corner; who are tenacious, gritty, and committed, and even those who are not quite there yet, but then the light bulb goes on. And that’s awesome. SPEAKING.COM: Which of your keynote topics are the most popular? How are your keynote presentations unique? Which of your keynote speeches do you enjoy the most, and why? 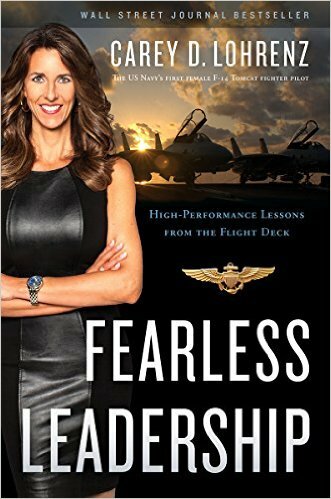 LOHRENZ: “Lessons in Leadership” and “High Risk Into High Reward” seem to be very popular. Truthfully, though, I’ll do different combinations of my presentations. I customize each engagement to suit the client’s needs. For example, for companies that are really into innovation, but are also trying to figure out how to balance it all, I’ll blend “Lessons in Leadership” with “Striking a Balance.” Financial institutions tend to gravitate to “Lessons in Leadership,” with a side of risk management. So, it just depends. I like to keep things fun, fast-paced, and very visual in my presentations. I don’t have a lot of bullets on my slides. I sprinkle in some videos, and use humor as well. Nobody likes to be assaulted with slides that have 15 bullets on each slide for 60 minutes. Nobody. So I use personal stories, and some research-based information, but I weave it all together into a message that is relevant to them. It should be fun! “Work hard, play hard” —- that was the motto of every squadron I belonged to. And you can’t learn or remember if you’re not having fun. • The main leadership lessons she learned while being the first female F-14 Fighter Pilot in the U.S. Navy. • Keys to being on the leading edge. "I think there are three fundamental and necessary traits that every fearless leader has: courage, tenacity and integrity."